Product #1671 | SKU 158 | 0.0 (no ratings yet) Thanks for your rating! 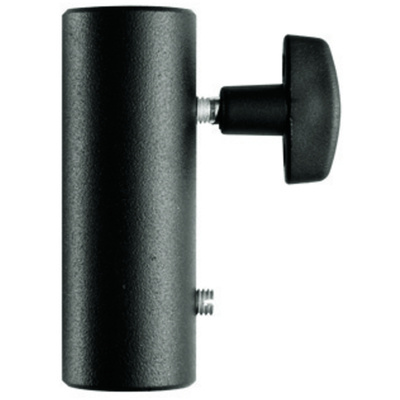 The Manfrotto 158 Adapter converts a 5/8" (16mm) light stand top to a 5/8" female socket. Use it to connect two units with 16 mm spigots, or to obtain a 16 mm female attachment from 16 mm spigot. It is aluminium, 6.5 cm long. This item repalces old catalog #3101.